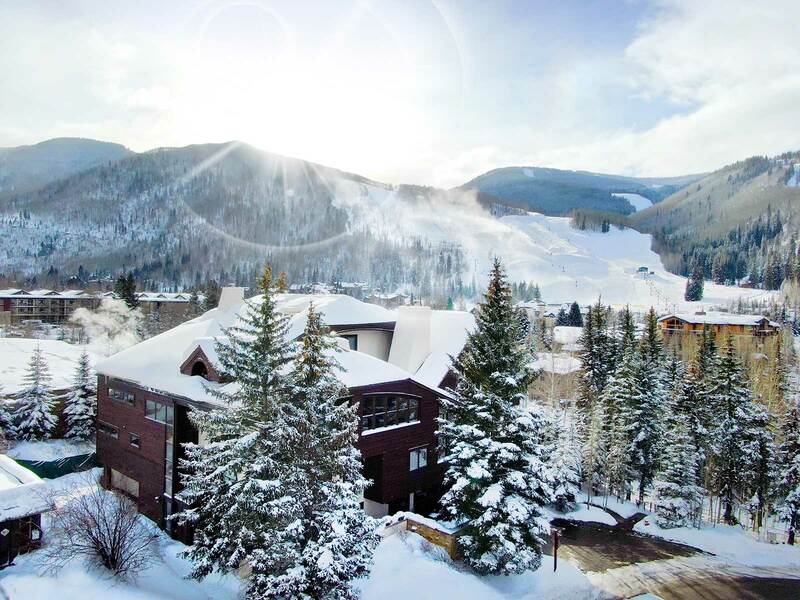 A front row seat to one of the best views in Vail! 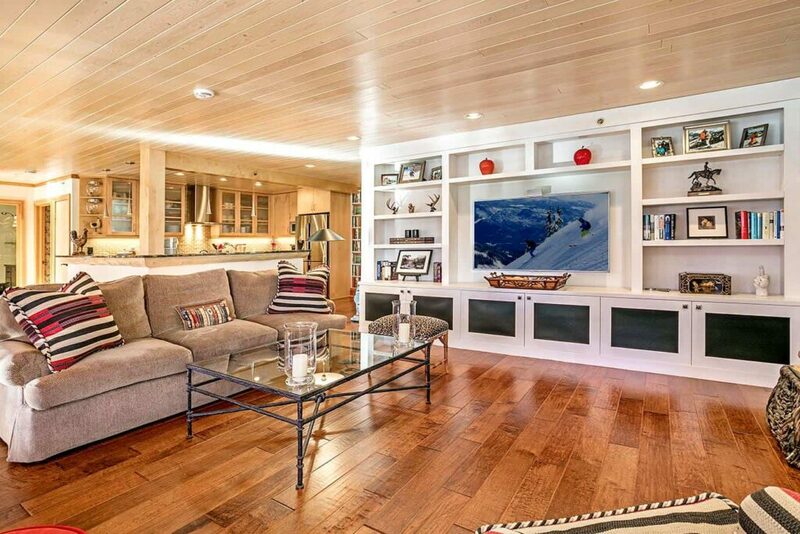 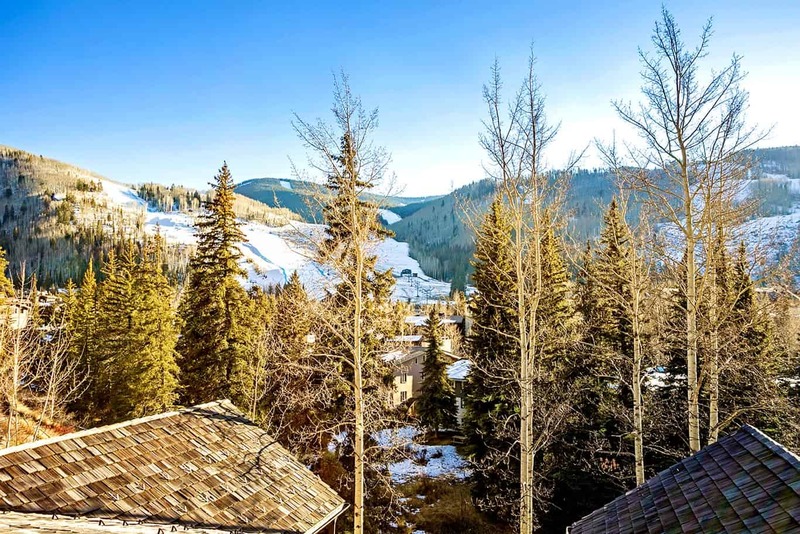 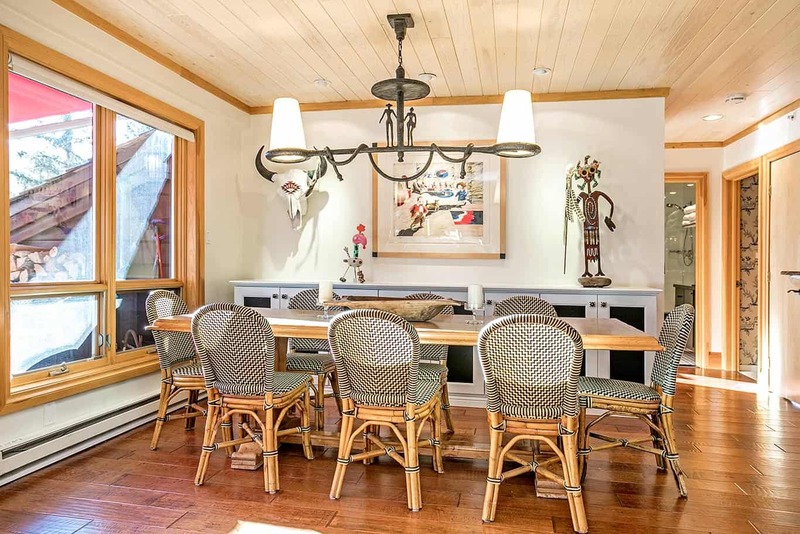 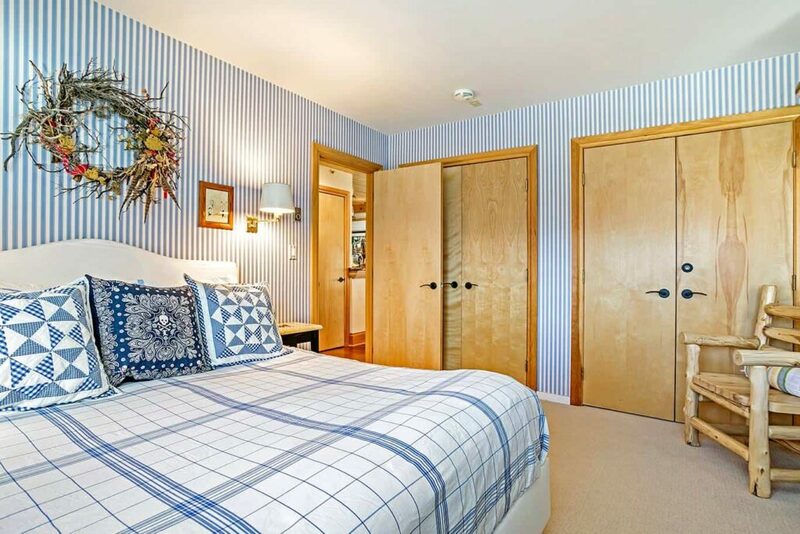 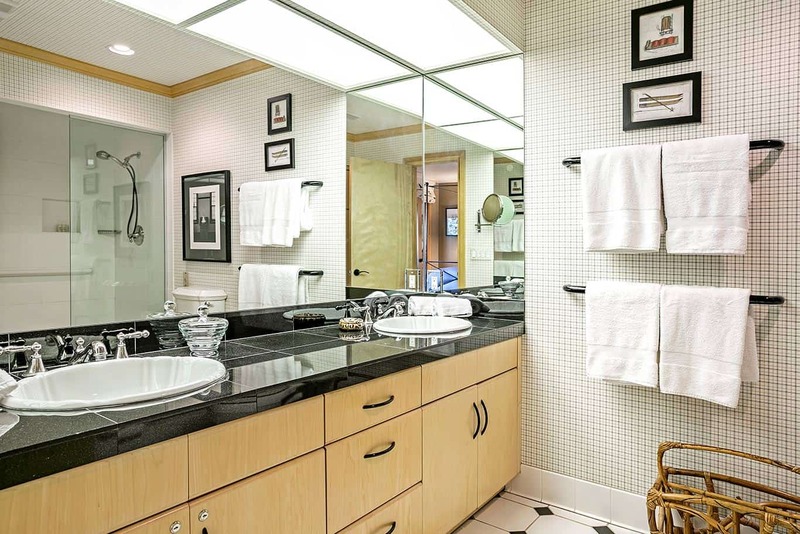 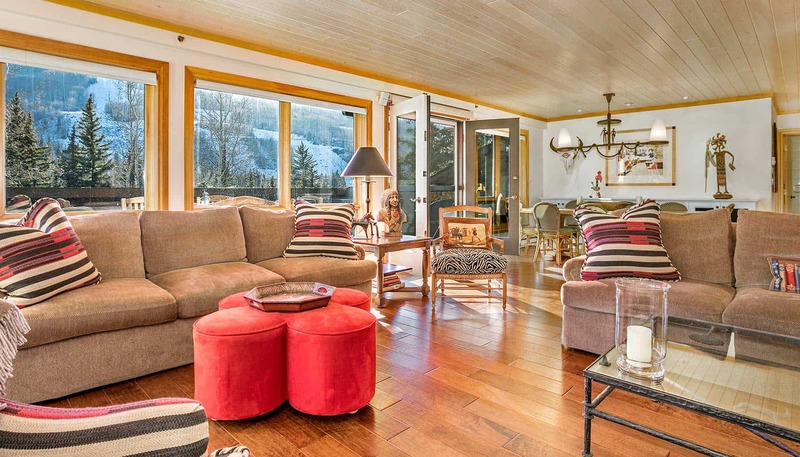 This 3 bedroom, one floor spacious condo in the heart of Vail Village invites guests to truly unwind and put their feet up. 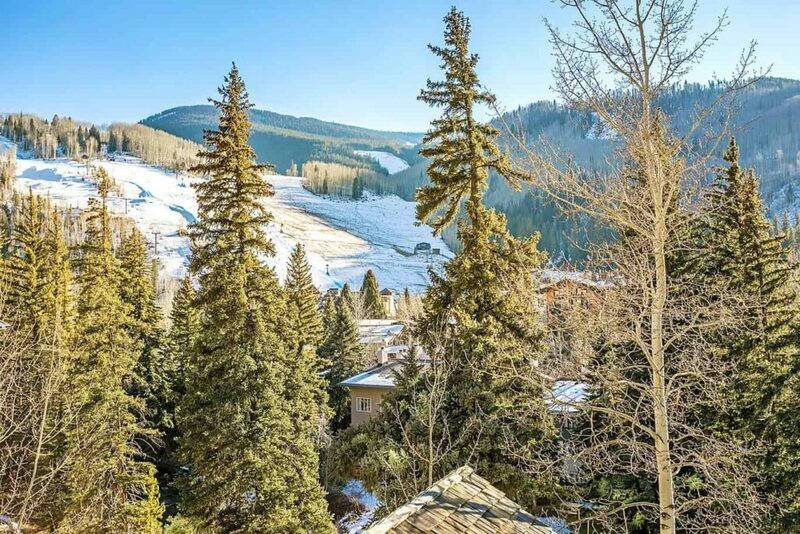 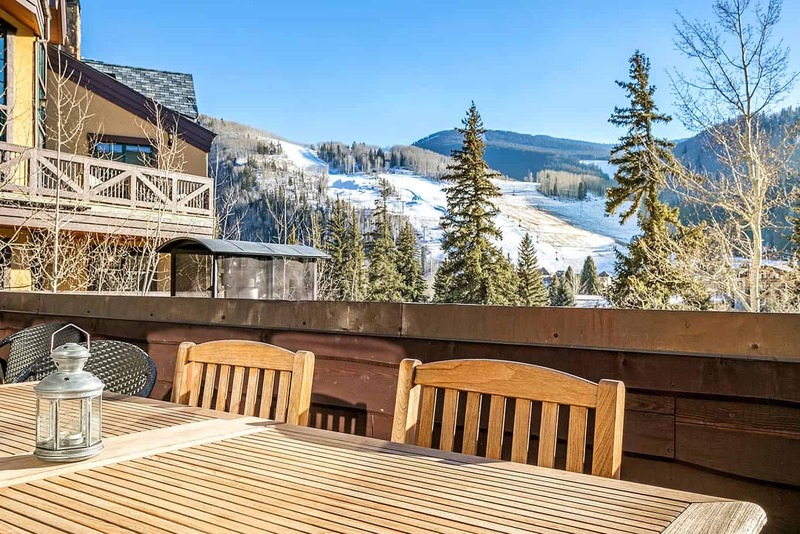 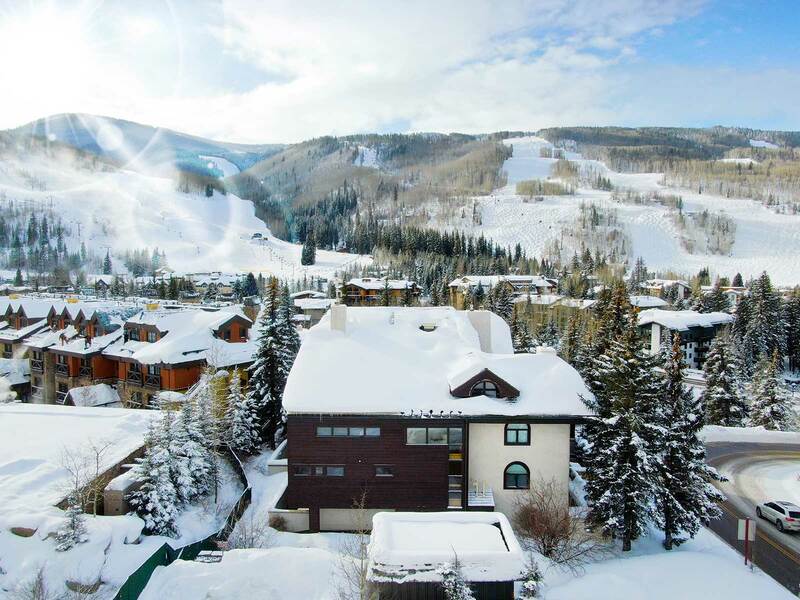 Only 2 blocks from the Riva Bahn chair lift at Golden Peak and adjacent to the gold medal waters of Gore Creek one can easily enjoy the countless winter and summer activities that in Vail has to offer! 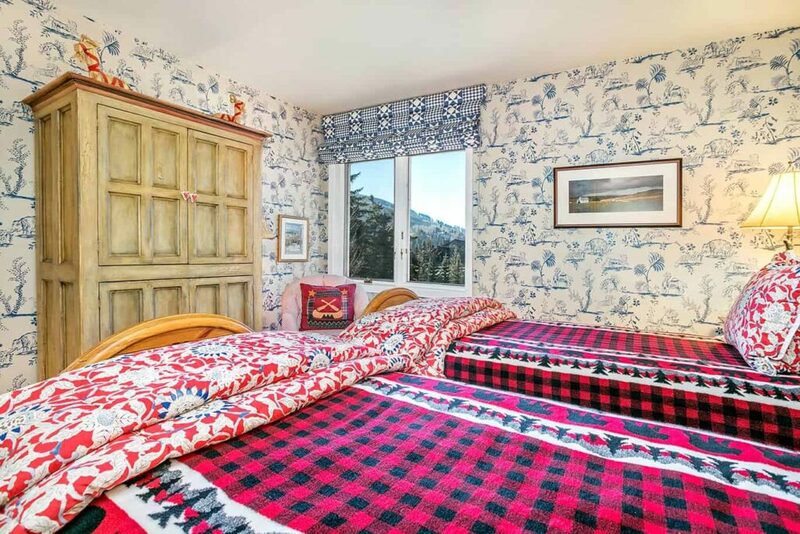 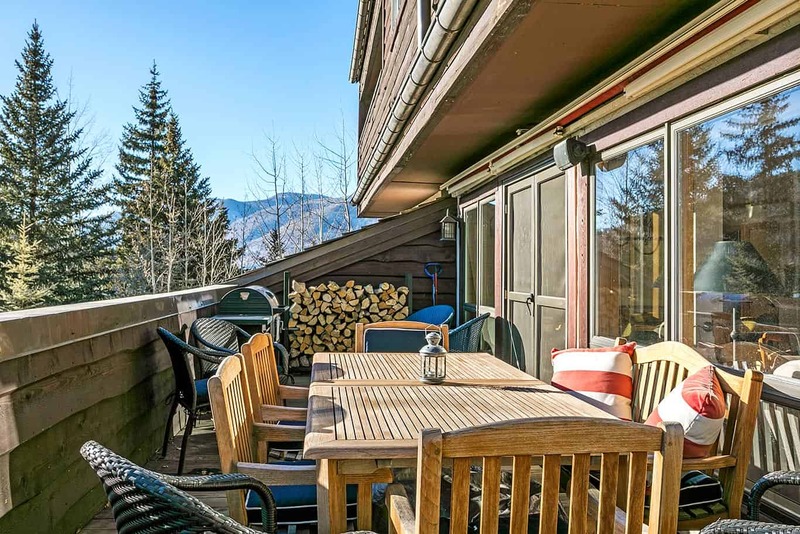 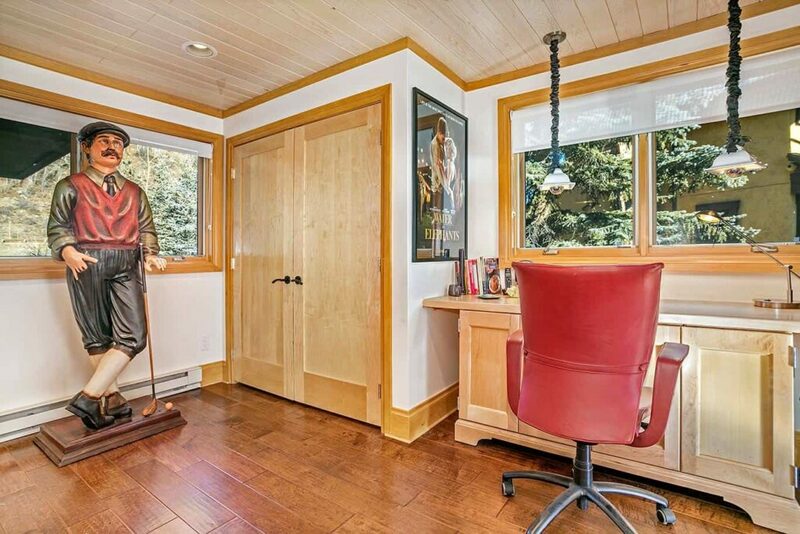 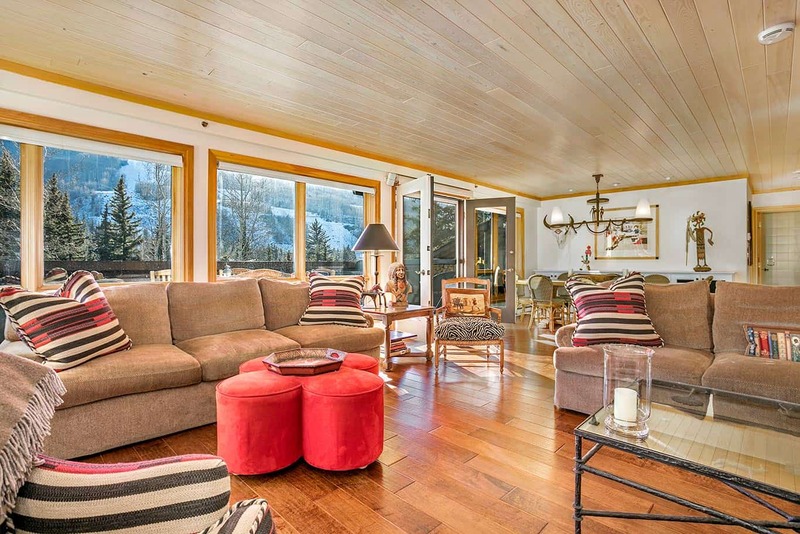 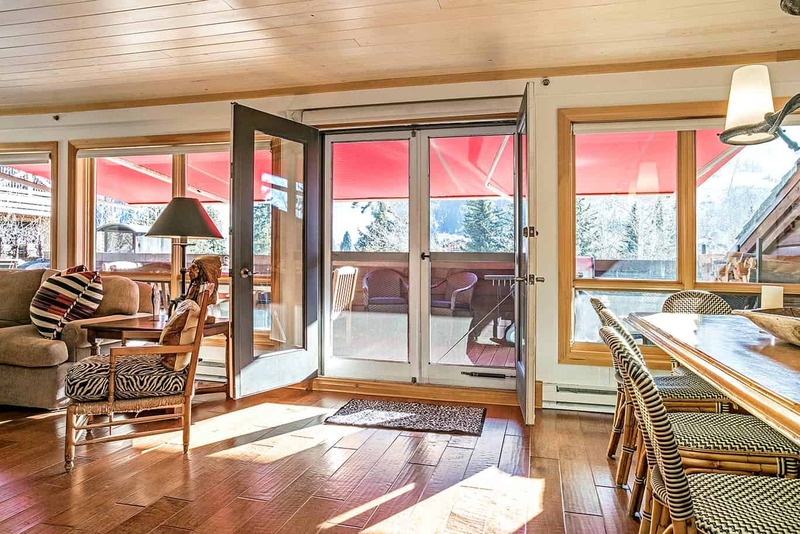 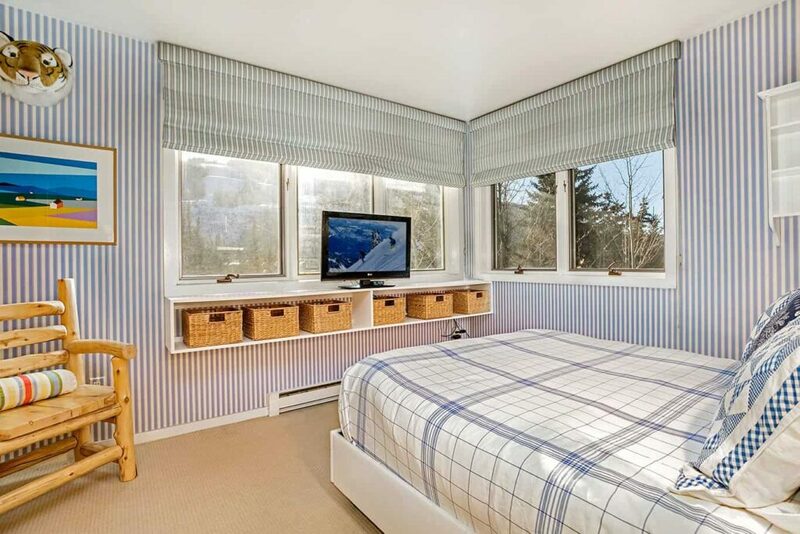 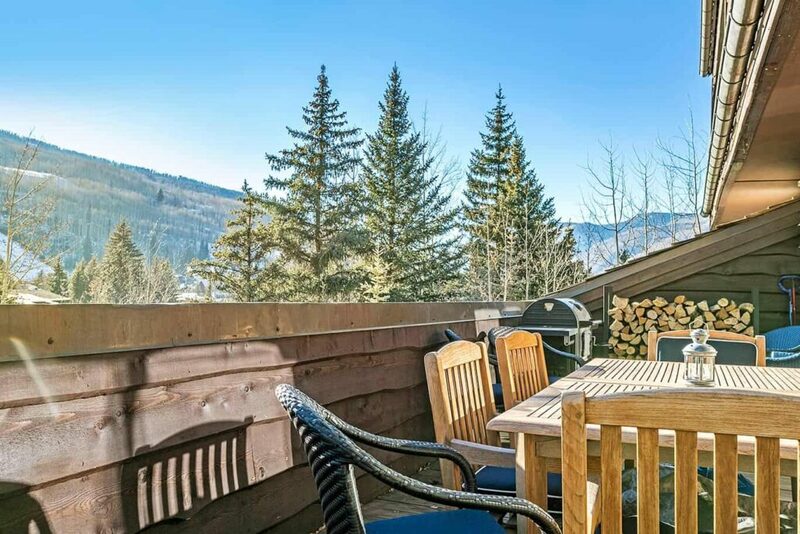 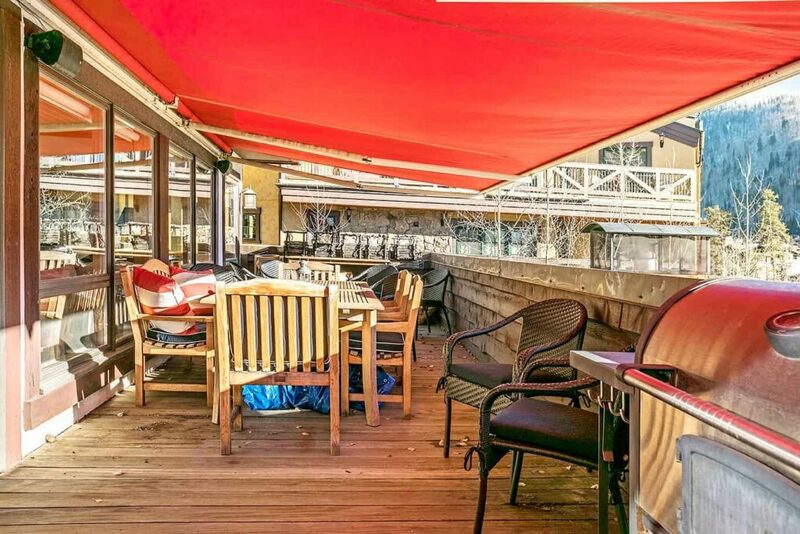 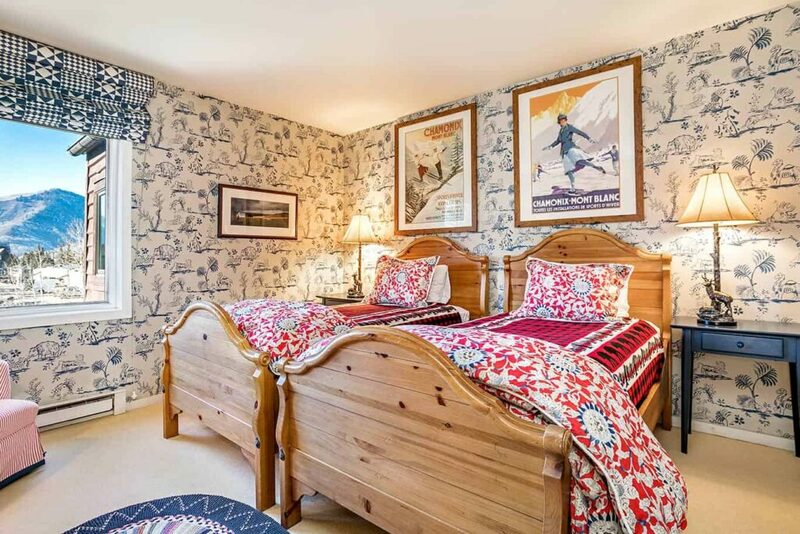 For those who are seeking ski slope views and an ideal location this must be your pick! 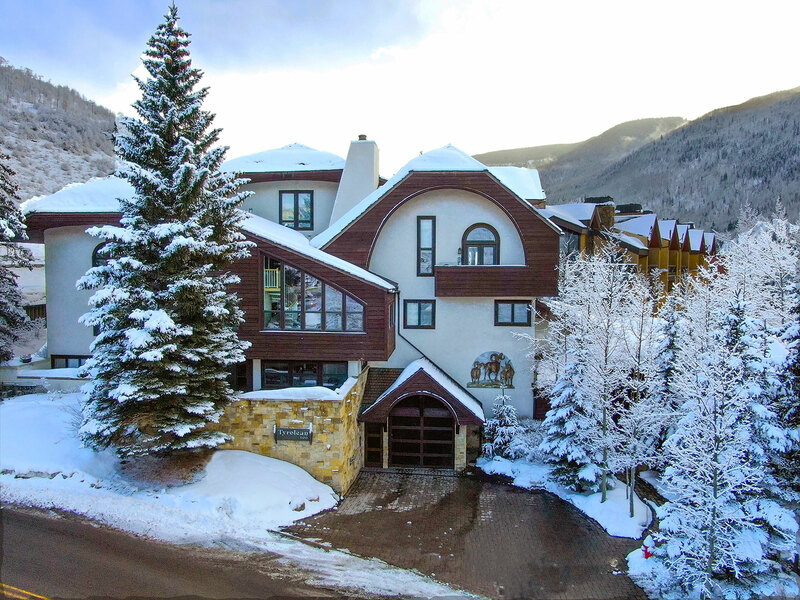 The Riva Bahn chairlift at Golden Peak is only 2 ½ blocks away and Gondola One in Vail Village is only 3 1/2 blocks from this residence. 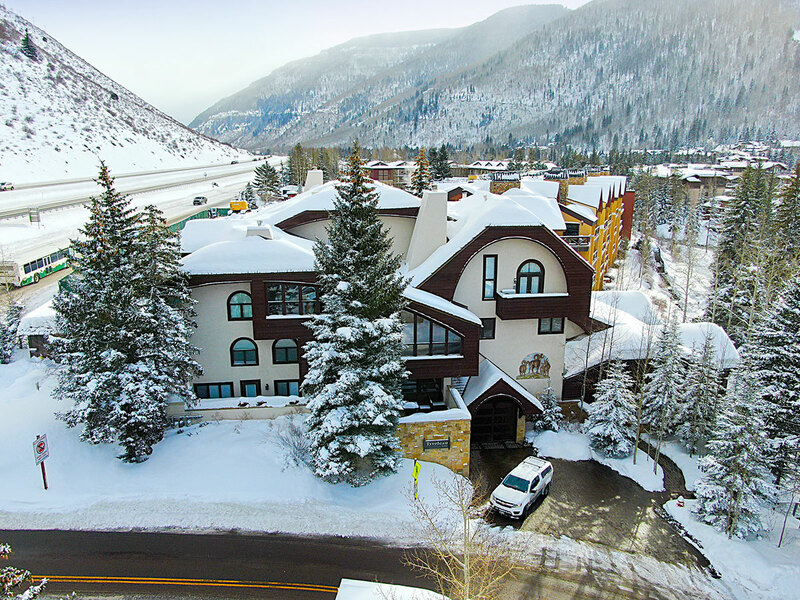 The Vail Vitality Center, which we give our guests complimentary access to, is located just across the street so guests can step out their door and enjoy the rock climbing wall, yoga classes, and multi-level fitness center. 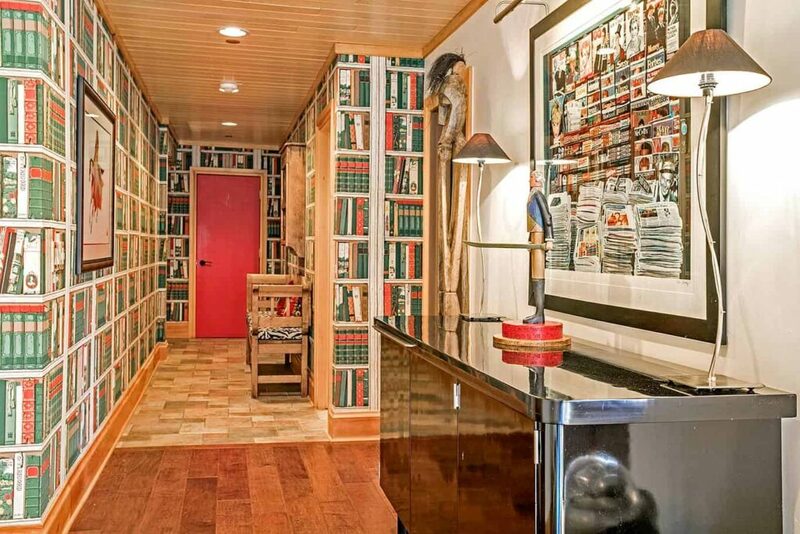 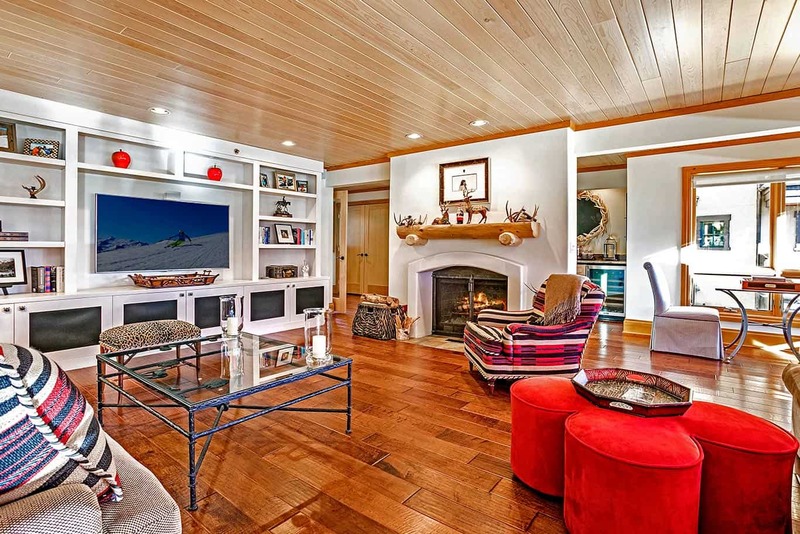 The residence is one level (no stairs) with gracious open living space. 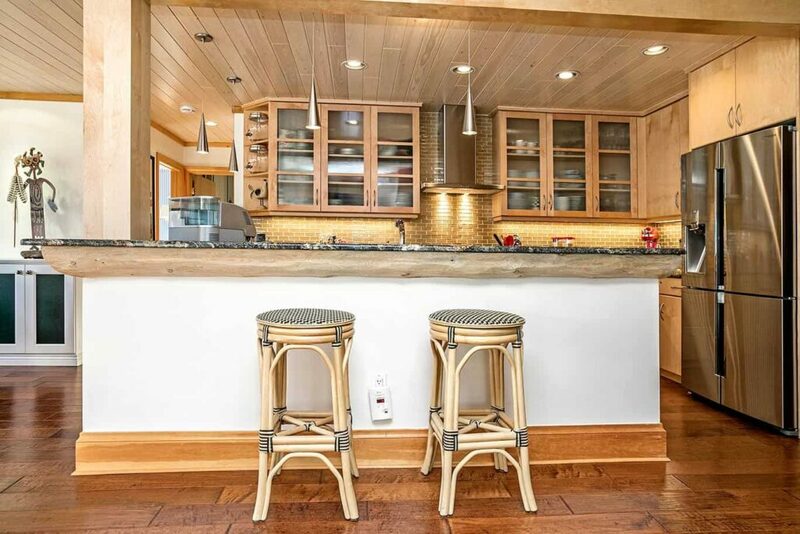 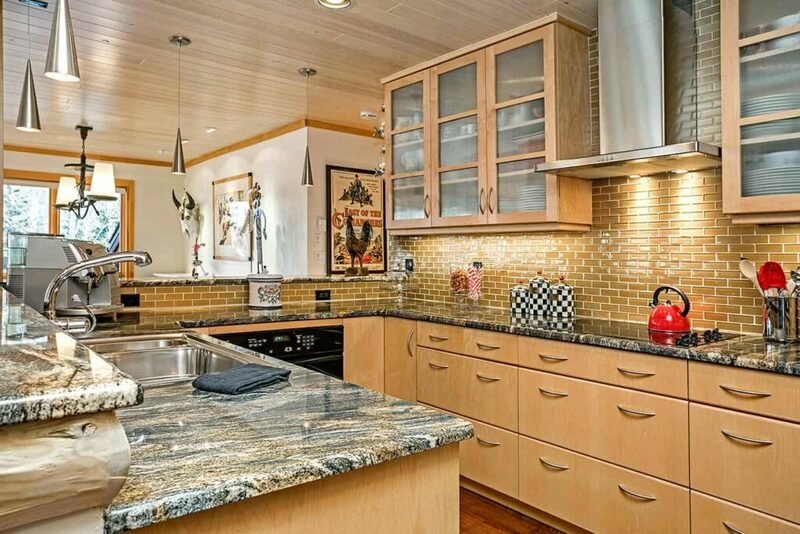 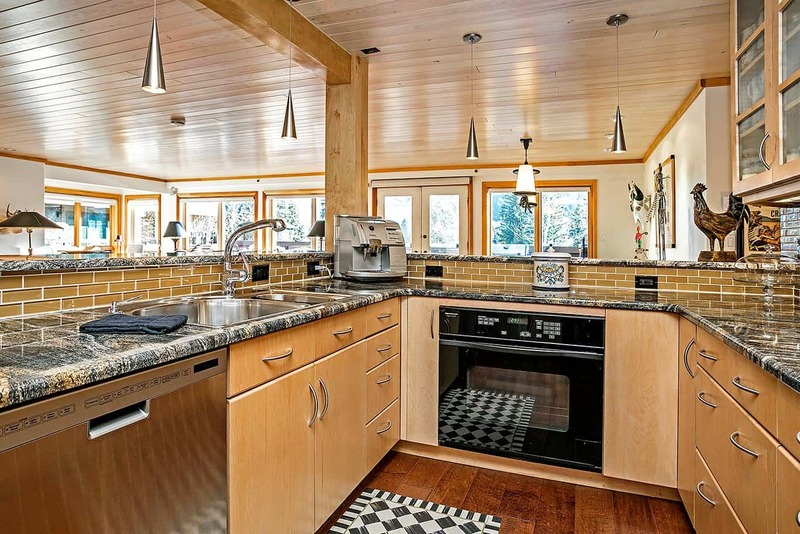 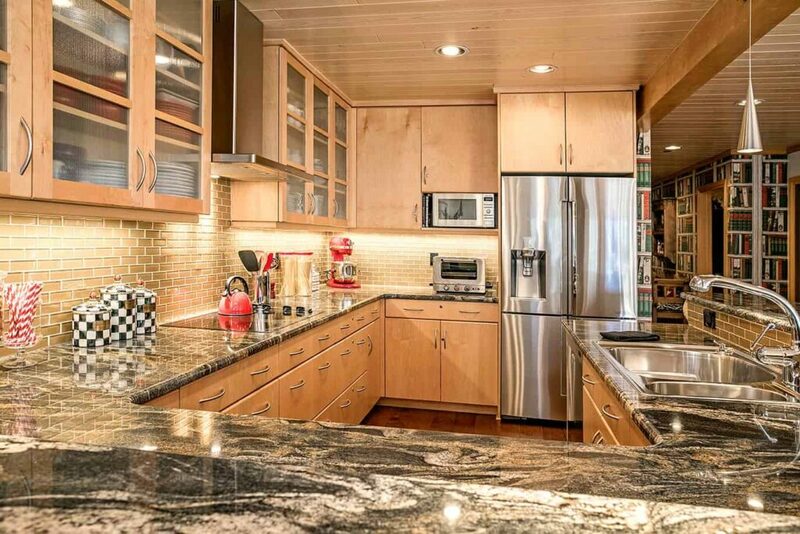 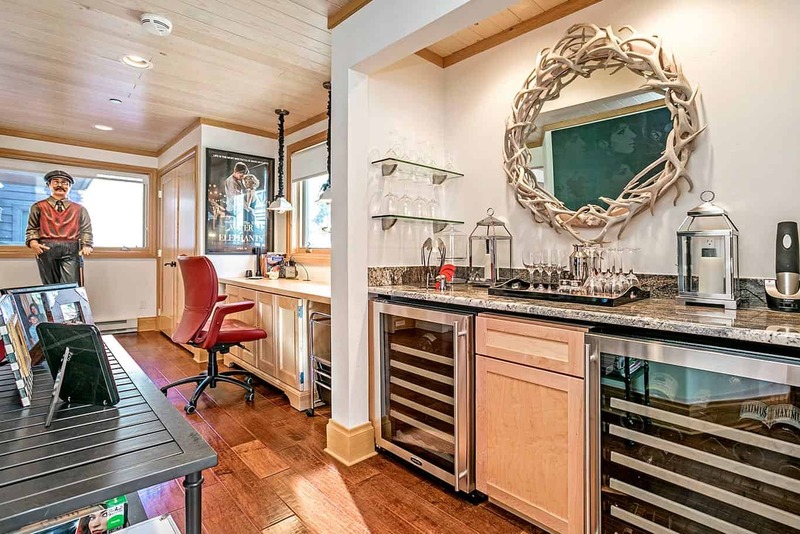 A chef’s kitchen includes a smart Samsung refrigerator, electric cooktop, and an espresso machine. 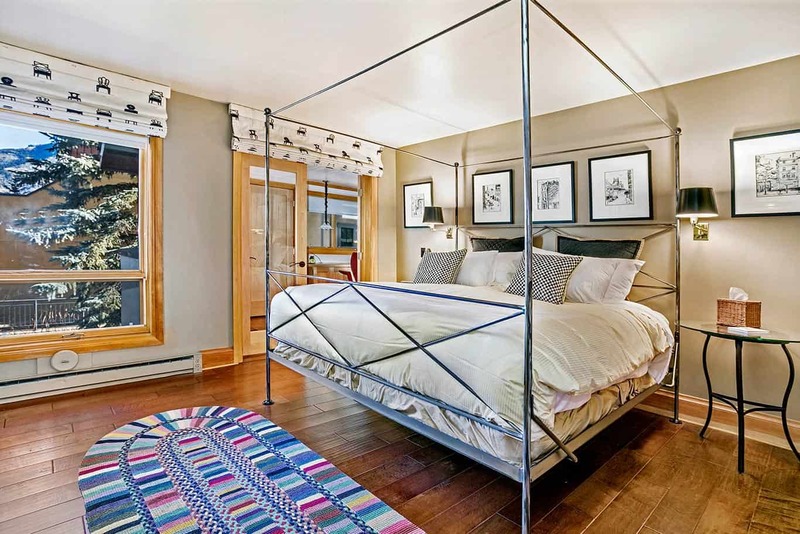 The large master bedroom has an en suite bathroom and is adjacent to a and private working space with a custom built in desk. 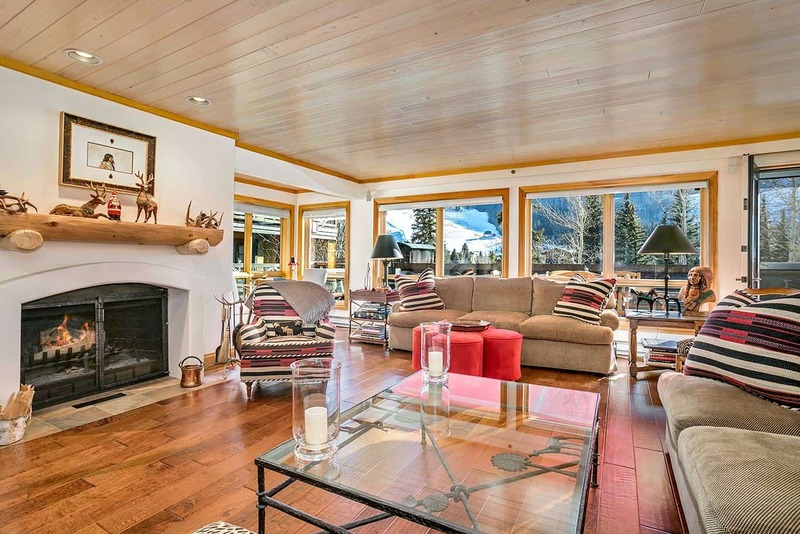 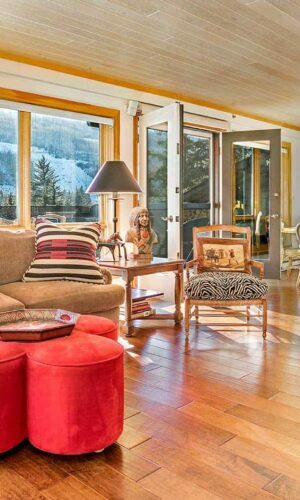 The main living room has a wood burning fireplace with large south-facing picture windows and fabulous mountain views. 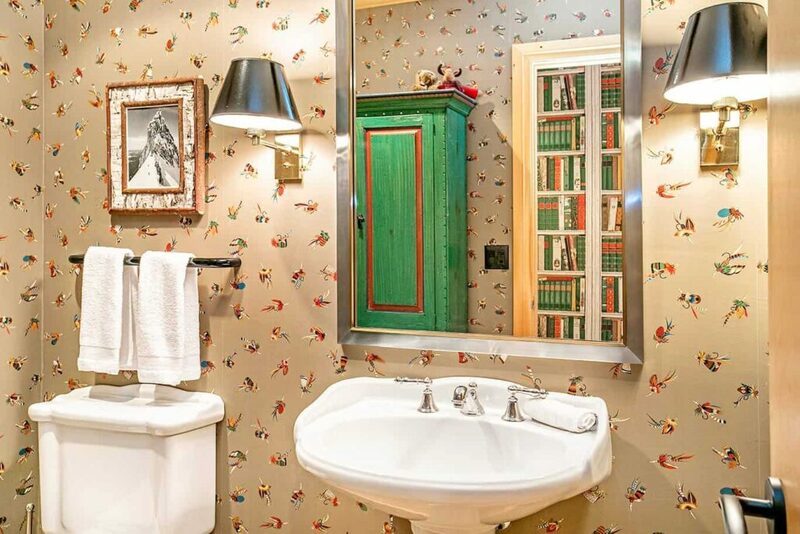 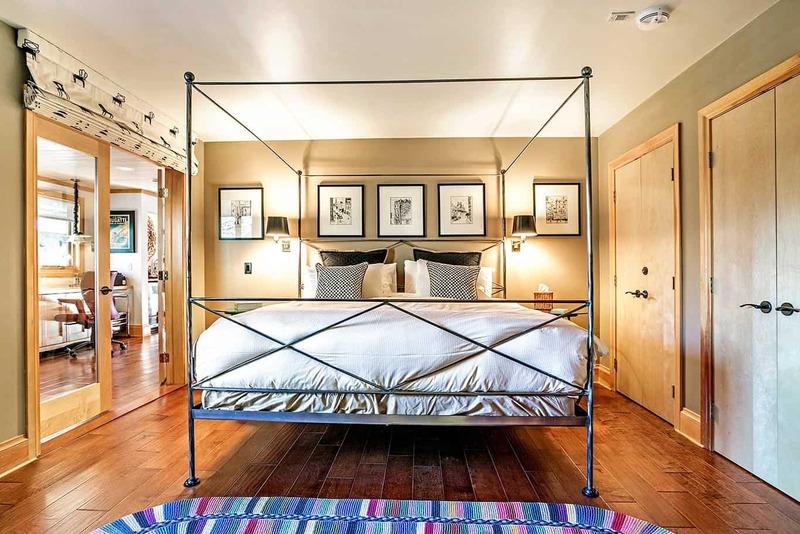 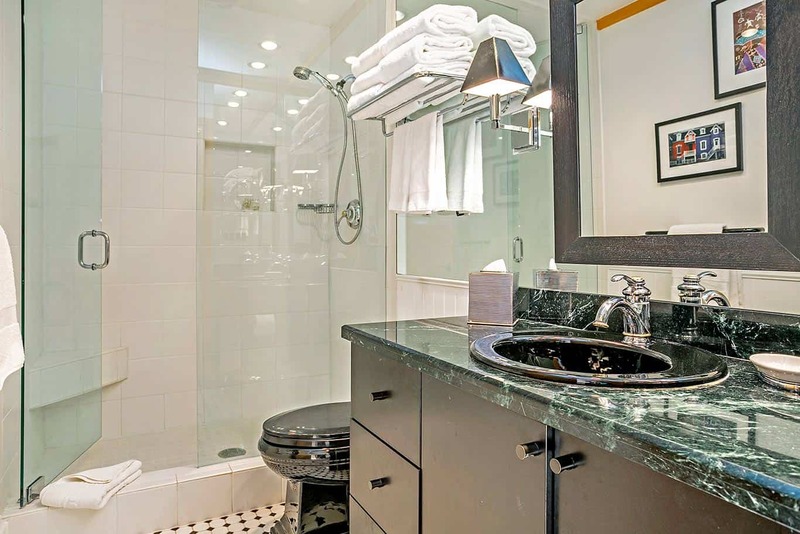 The second and third guest bedrooms share a full hall bath with shower only. 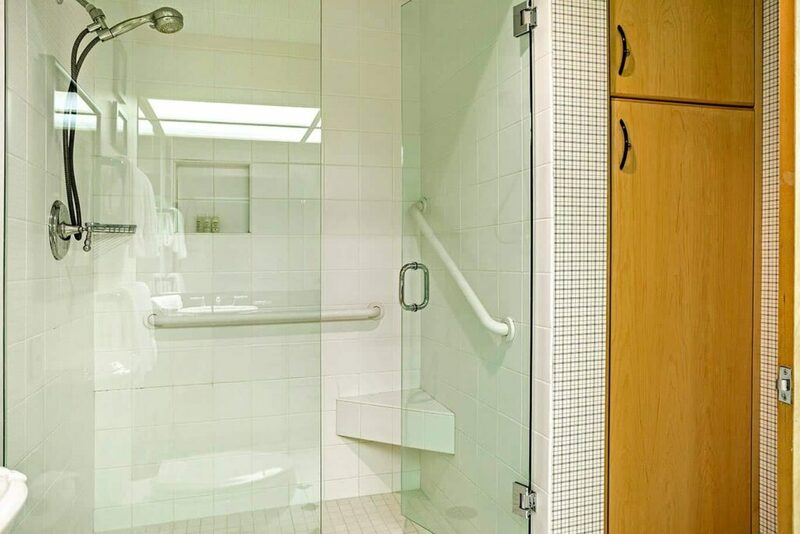 Guest will have one assigned garage parking space and an elevator takes you to the second floor and the front door of the residence.